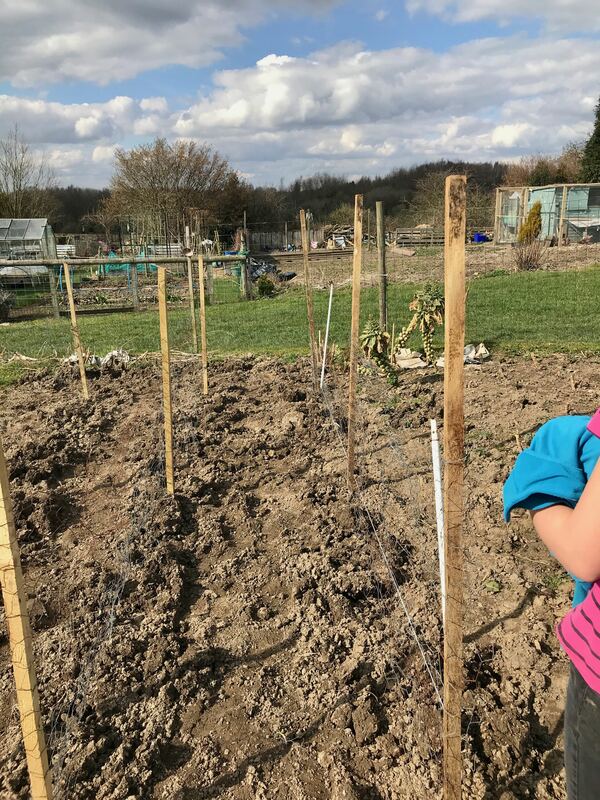 The children broke up for Easter just over a week ago here in Derbyshire, not going away this holiday it gave us the perfect opportunity to really get stuck in at the allotment. 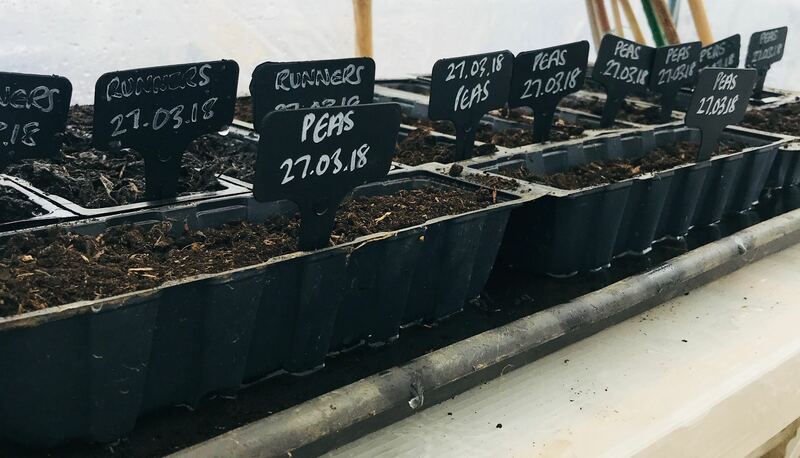 The main tasks at the moment have been getting plenty of seeds sowed in the greenhouse, building structures for the climbers and preparing the ground. 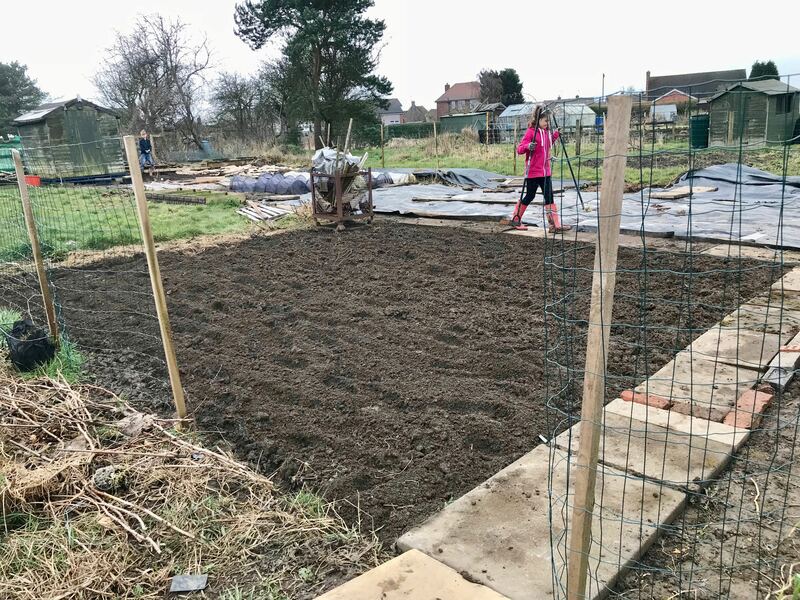 The areas of our ground that are dedicated to the most popular method on our allotment site (which is generally pretty old school), digging, have been turned over this week, tap rooted weeds removed and then gone over a second time with the tiller. 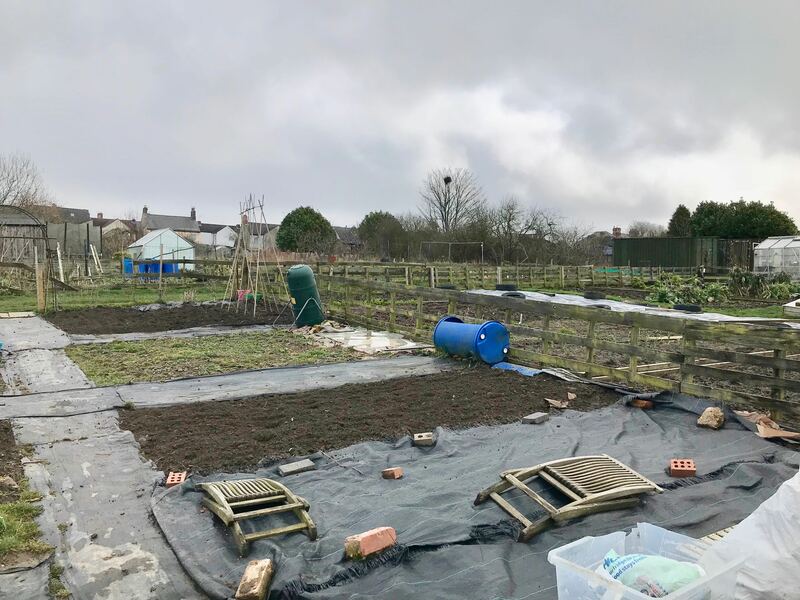 Now I need to exercise some patience and keep an eye on the weeds, it’s too early for most of our crops to be planted outside apart from the broad beans. I enjoy the challenge of looking around the plot for items that might be useful and then building temporary structures for the climbers. 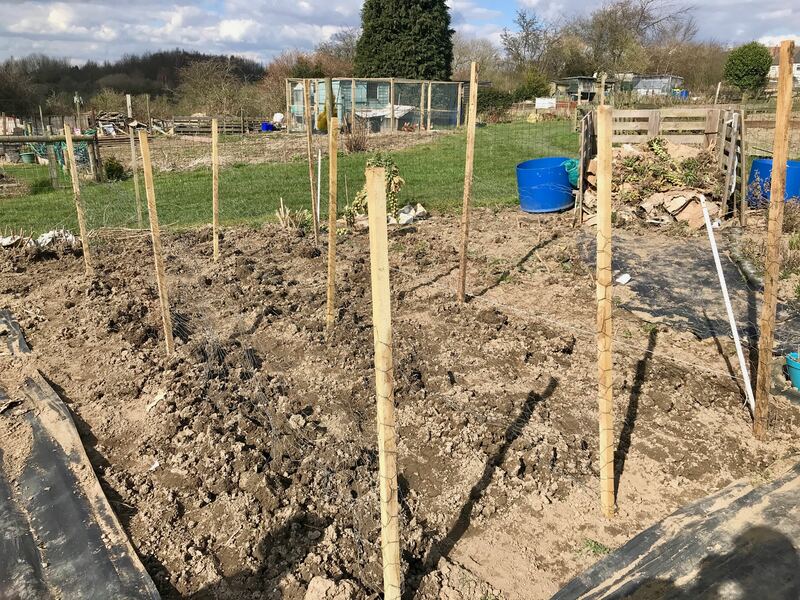 This week we have used the old fencing that we have removed from the latest ‘new’ plot and used it along with some left over tree stakes to create a bed for the peas and something for them to grow up. 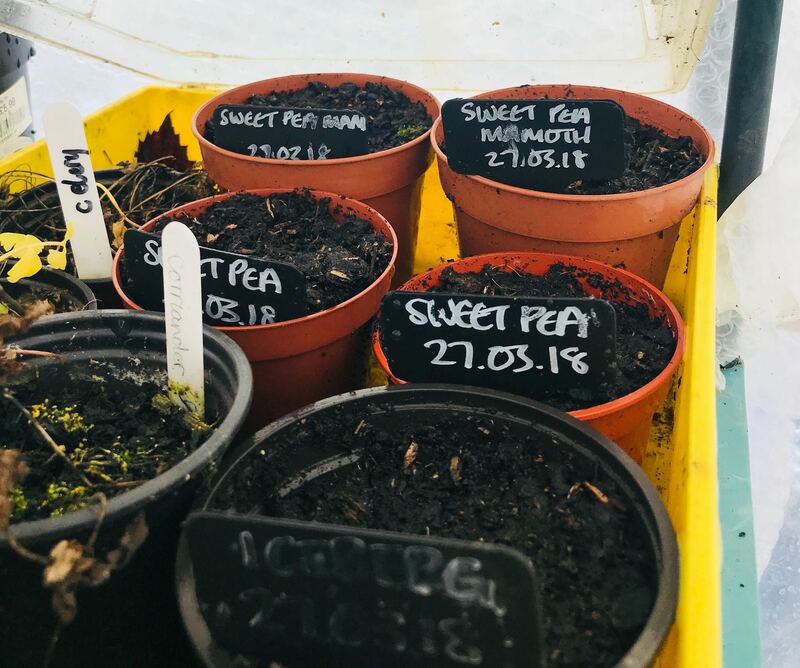 I realised last year that one row of peas for a family of four simply wasn’t enough, you really do need a lot of pea plants to give a decent bag full for the freezer! That along with regular picking. 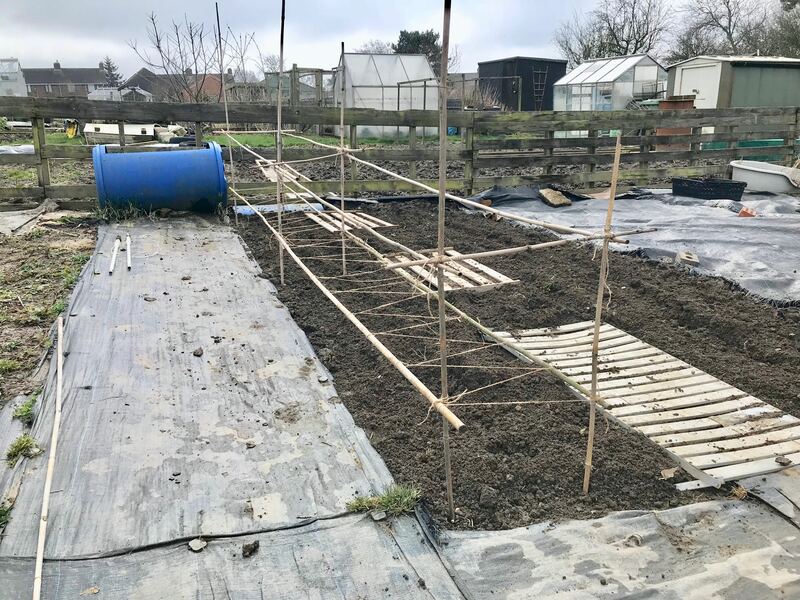 This year I have gone for three rows which I plan to plan on both sides of. I’ve left plenty of space to be able to comfortably walk and harvest in between each row. For the broad beans that will shortly be going out it was more a case of support required. In the past I have tried individually staking each plant, along with grouping them together to support each other. Neither really worked and they ended up bent over and damaged. 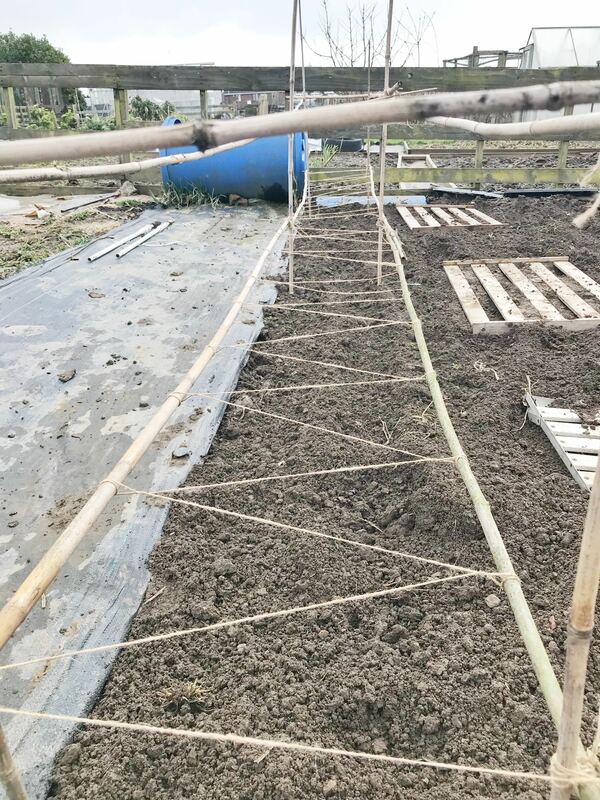 This year I have build a structure to support them as a row and plant to plant them in each gap between the twine that you can see in the photos. The kids seem to enjoy this part especially, there’s still something magical about planting a seed and watching it grow. 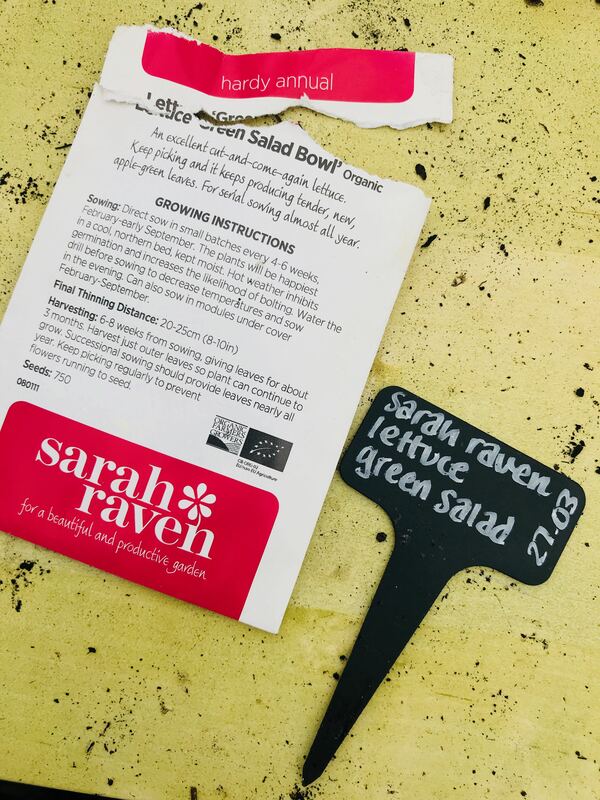 We now have in sweet peas, peas, some flowers and plenty of salad and onions. 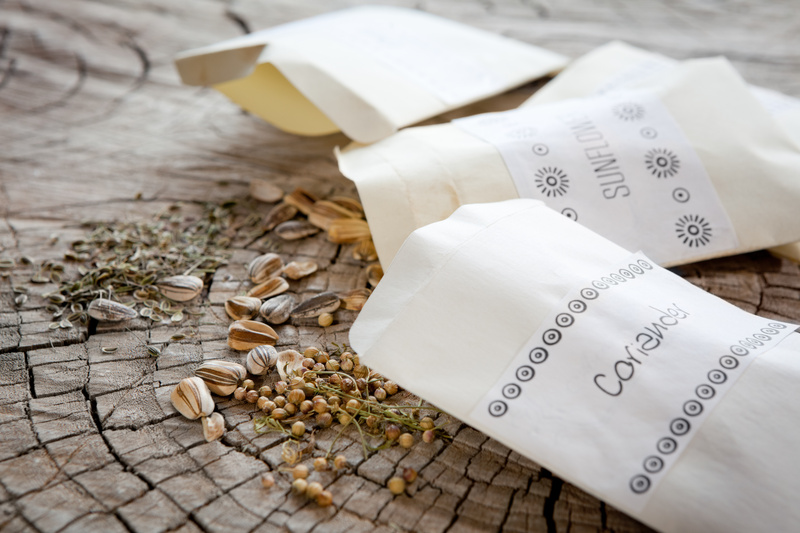 We’re looking forward to continue to get more seeds in as the weather begins to warm up slightly!